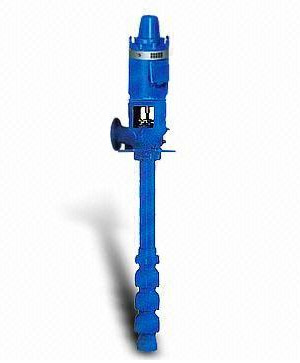 Turbine pumps are centrifugal pumps used to pump water from deep wells and other underground water bodies. A turbine pump may have multiple semi-open or enclosed impellers or "stages" and can operate submersed or above water. Turbine water pumps are commonly used to pump water for irrigation, firefighting, hydroelectricity waste water treatment. Pump Express customer service agents are standing by to provide technical assistance, price quotes or to answer any questions you may have regarding the turbine pumps we stock and sell. Call Our Toll Free Number 1-800-298-4100.